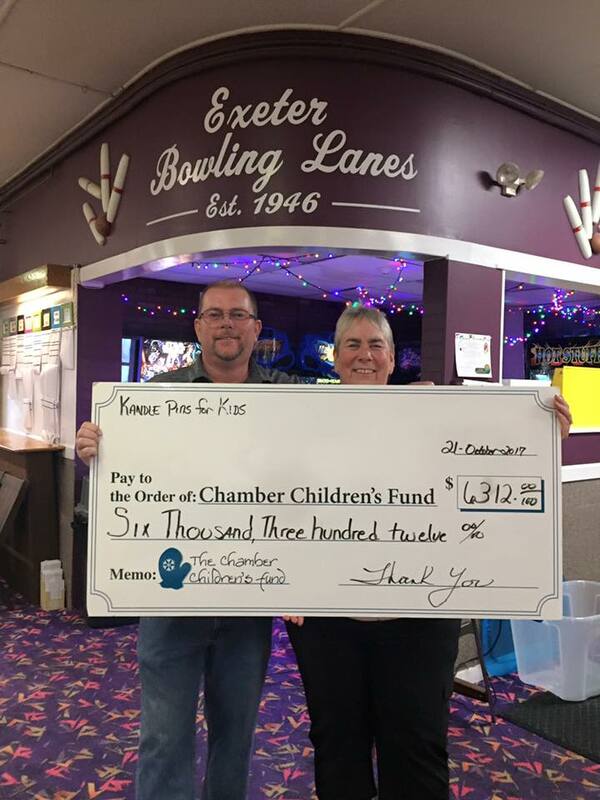 Established in 1989, the Chamber Children's Foundation was created by the Exeter Area Chamber of Commerce to raise funds to provide warm winter clothing and bedding to needy children in the 10 communities the Chamber serves. 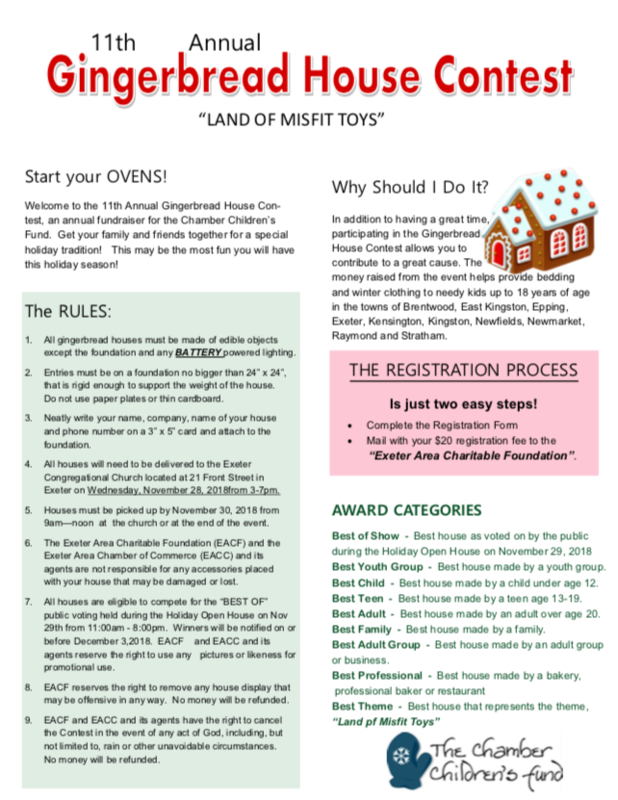 The Chamber Children's Foundation is a duly authorized 501(c)3 non-profit organization incorporated in the State of New Hampshire under the auspices of the Exeter Area Charitable Foundation. The fund, now over 30 years old, raises money year round through solicitation, donations and events such as the Festival of Trees, Kandlepins for Kids, Duck Race and Scarecrows for Kids. The Funds are distributed to qualifying clients through the use of a voucher system. Those clients that are determined as a family in need by the local social service agencies working with the Foundation, redeem these vouchers at participating merchants as they would a gift certificate, to purchase clothing, outerwear or bedding for children up to 18 years of age. Through the generosity of local businesses and individuals, the Foundation has assisted more than 9,000 children with donations exceeding a million dollars since its inception. If you, your business or organization would like to make a tax deductible contribution or participate in a fund raising promotion, please contact the Exeter Area Chamber of Commerce at (603) 772-2411 or to donate on line click here. You may also donate by sending a tax free donation to Exeter Area Charitable Foundation, 120 Water Street, Exeter NH 03833-0278. For some families, receiving a voucher from the Chamber Children's Fund means they will not have to choose between buying winter clothing or paying their heating bills.